Are you ready to buy a home or refinance your existing one? If you're not sure that a FHA loan is right for you, browse our articles first before applying. We have an in-depth overview of the FHA loan program and detail the FHA property requirements for you. Applying for an FHA loan online is exceptionally easy and generally takes about 15 minutes to complete. You can apply for an FHA loan online by clicking our banner below which will take you to a secure site to complete the online application. Once you’re finished, one of our licensed loan officers will review your application, follow up with any questions and get to work to see if you qualify for an FHA loan. Our team is licensed in California, Colorado, Florida, Iowa, Indiana, Illinois, Kansas, Missouri, Maine, New Hampshire, Ohio, Tennessee and Texas. Want to know more about our company and why you should apply online with us? Read more below! If you’re unsure of what to expect before or after completing the application, read our article on getting pre-approved for a mortgage. Our loan officers average 7 years in the business and 500 closed loans. This means we’ve seen almost every scenario out there, know the common roadblocks that could prevent your loan from closing, and we know how to guide and prepare you. We have relaxed FHA loan guidelines. Many online lenders claim to be ‘direct’ lenders, which means they underwrite to FHA loan guidelines, but often-times these lenders have additional overlays (or rules) THEY require you to meet. At UFF, we don’t. Simply put, that means we ask for less documents and will put you through less hassle to close your loan. We don’t spend money on national marketing, sponsoring NBA sports arenas or hire 100-team IT or engineering crews to build expensive do-it-all mortgage systems that really don’t work. Instead, our focus is keeping our costs and overhead low, thereby helping our clients keep thousands of dollars in their pockets by passing that savings along to you. Applying online is safe, easy and quick. It takes about 10-15 minutes to enter the information needed and once complete, our team will be instantly notified. We’ll briefly touch base to confirm your budget and answer any initial questions. Then we’ll get to work to see if you qualify for an FHA loan and will likely have an update for you in a matter of hours. We also offer a secure portal to upload documents needed to apply for an FHA loan online and eventually get your loan approved! Low Down Payment – the FHA loan requires a minimum down payment of 3.5% of the purchase price. Low Interest Rates – an FHA loan typically has lower rates than the traditional Conventional mortgage, often saving you money on your monthly payment. Lower Mortgage Insurance – FHA loans based their mortgage insurance on the loan amount, whereas some loan programs base it on credit score and down payment percentage. This typically means more savings compared to other programs. At United Fidelity Funding, we offer an unusual blend of experienced FHA home loan professionals along with ultra-competitive rates and astonishingly low fees. We help thousands of customers per year and would be honored to help guide you through your mortgage financing needs. Our focus is making you a client for life, so you’ll quickly recognize our service is also second-to-none. 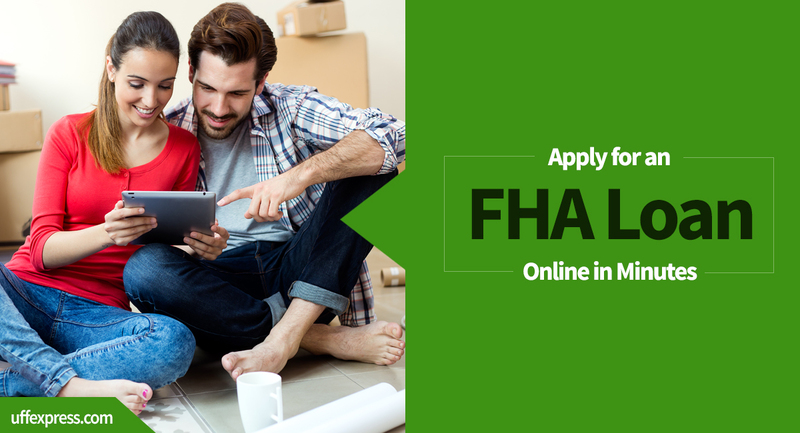 Apply for an FHA Loan online with us and get started on your path to buying a house or refinancing your existing one!